Oure unique medallion wristbands feature a large section that can be used to show off your custom message. Use the medallion area to showcase your business logo, awareness ribbon, school mascot, company name, or event title. You can also include additional custom messages on the front and back of the wristband. 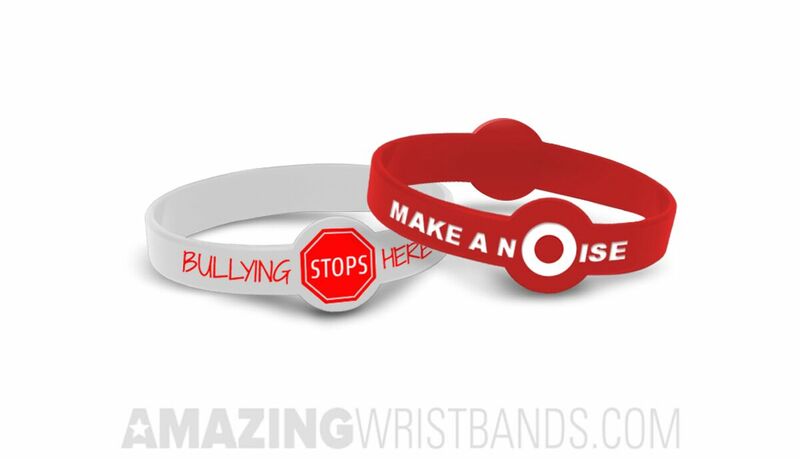 Like all our silicone products, medallion wristbands are durable and 100% latex-free. 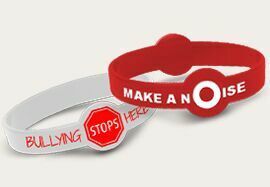 Medallion wristbands are a creative and affordable promotional item. With a much lower per unit price than items such as t-shirts or hats, our high quality silicone wristbands are perfect for marketing, awareness, team spirit, fundraising, party favors, giveaways, and more. The unique design of the medallion wristband makes your custom message really stand out. You can choose any combination of colors for your band and message, and add special effects such as glow, glitter, writeable areas, and much more. Your message can be screen printed, debossed, ink-filled, or embossed. Create your own medallion wristband today!